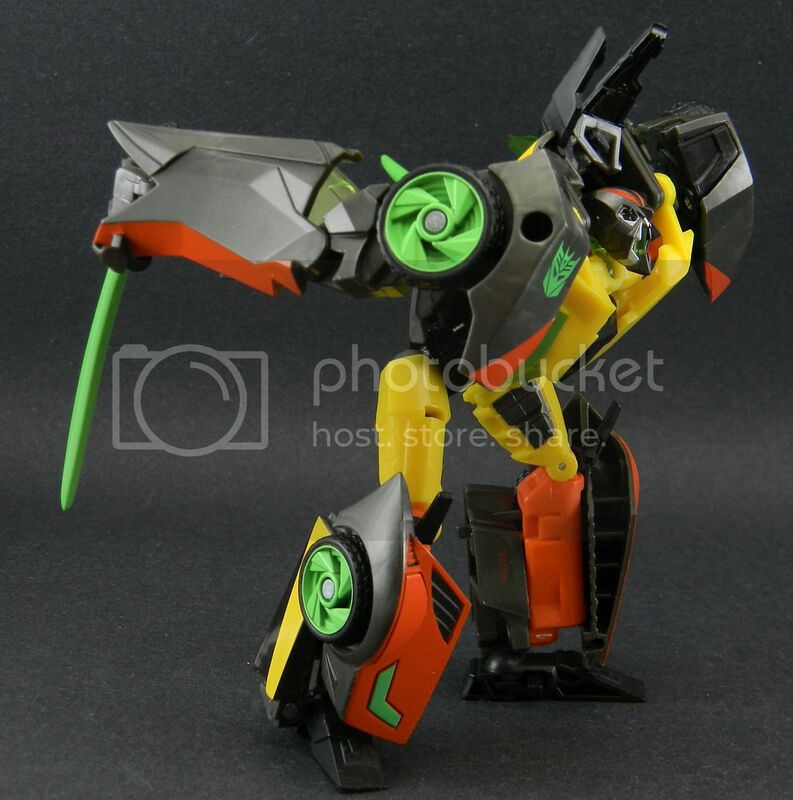 I picked up Dead End because he looks awesome. Little did I know he looks that way because he's made of awesome. I kinda love this toy. The Wheeljack mold was already great, though the arms were a bit long for the show model (which might be the best on that show) but it's a fun toy. This guy takes that fun to new levels. The colors, man! 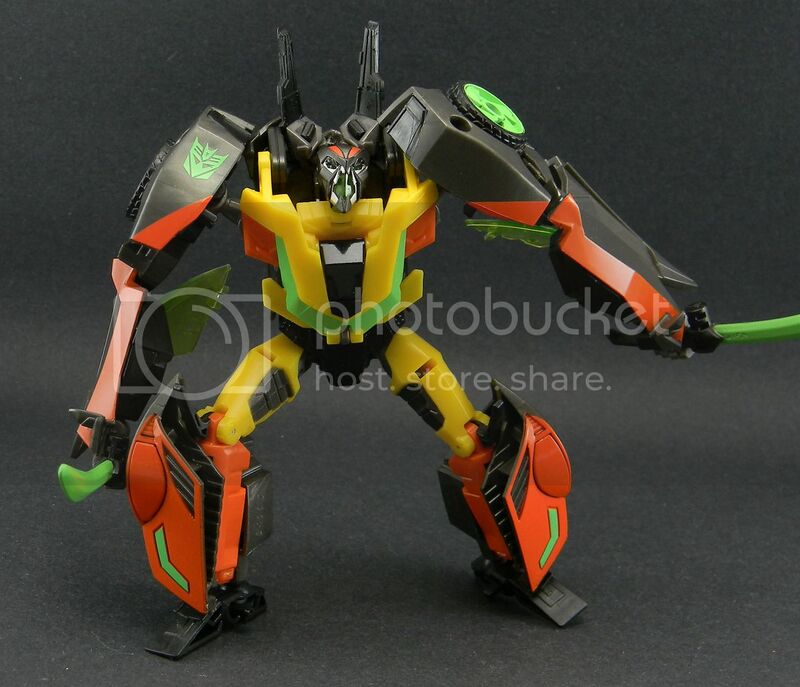 Wheeljack was a sea of white whereas this guy is pure Halloween fueled madness. 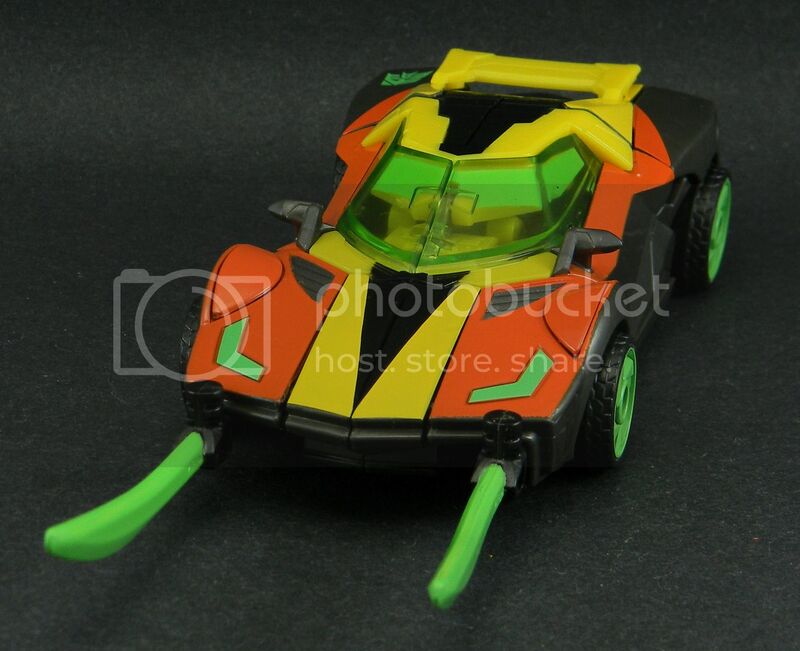 Not only did they give Wheeljack's white areas more to do by splitting them into two different colors they also gave this guy a ton of paint. That paint was rebudgeted from Airachnid but I'm ok witht hat because Dead End is a far better toy. The new head sculpt is what makes me enjoy this toy so damn much. In early photos I thought he had a bit of a monkey mouth going on. 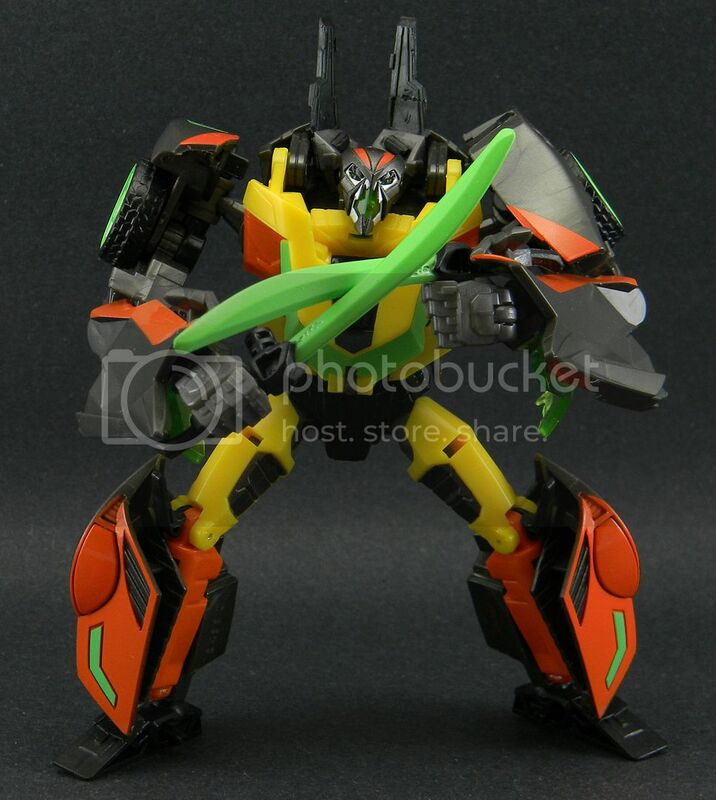 See, I thought that entire green part was his lower face with a closed mouth molded into the translucent plastic. What I was seeing was the air bubbles trapped inside the plastic. He really has a gaping, glowing green mouth that shows off his true madness. I can see Dead End and Nemesis Prime hunting and attacking random bots on Cybertron together, fighting over the scraps of their kill. Also I love his big venom fang lookin' swords. Yeah, he is really taking the cake from that wave. Especially seems his competition is a lame-o 'Bee redeco, and Airarachnid who is pure and simple hate in toy form. Lol.